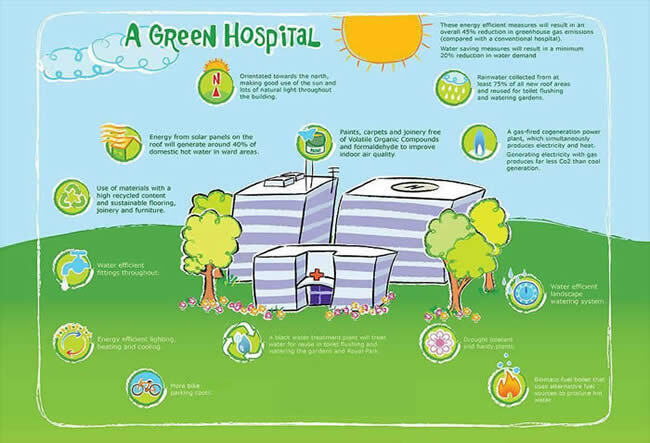 "Green hospitals make good sense for healthy communities, patients, staff and visitors. When we recognize that the health of our people, our community and our earth are inextricably linked, hospitals are rising to the challenge of creating truly healthy healing environments"
© 2015, Hospital 2020. All rights reserved.